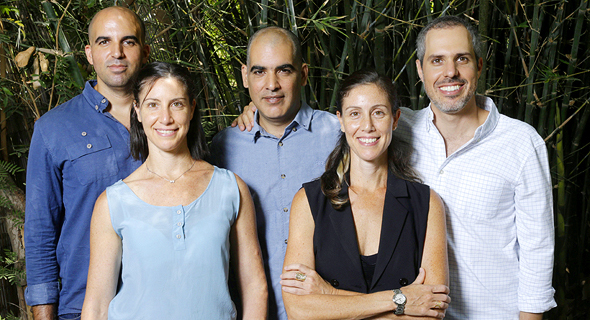 Established in Israel in 2014 as Metaflow Ltd., Lumen's founders include Daniel Tal, Dror Ceder, and Avi Smila–the founders of social toolbar applications developer Wibiya—and twin sisters Michal and Merav Mor, who have a Ph.D. in Physiology and are also passionate athletes who compete together in Ironman competitions and ultra marathons. "We were very frustrated by the divide between the science world and the fitness world when it comes to having a healthy lifestyle," the Mor twins said in an interview with Calcalist held two weeks ago, explaining the reasoning behind the company. "The high-quality systems used in hospitals, universities and the sports industry are not available to private consumers for many reasons." While Lumen says it will offer "daily personalized meal plans to help you lose weight and optimize your workouts" through its free app, Ceder told Calcalist it's about more than just what people eat. "Health is not just food, so we also check how people sleep and what kind of sports they do. We see what's happening inside the body and make people change their lifestyle accordingly." The device negates a person's need to track their food consumption or actions, Ceder explained, because a single breath will be enough for the system to measure the relevant parameters and formulate pertinent advice for the day. "You can't rely on one test to tell you what to eat for the rest of your life," Ceder said. "The body is dynamic and ever-changing and needs a suitable solution. Think of me as a nutritionist that lives in your pocket 24/7 and can tell you not just what you should or should not eat, but also what type of sport will be best for you currently: perhaps you should go out for a run, perhaps you should hit the gym." The company's first prototype has been in testing since 2016, with a few hundred beta testers given the device in 2017. "Initially, we had to choose our goal, and we chose weight loss and fitness," Ceder said. "70% of those who follow the directions lose around 4 kg a month."